If you are in the market and searching for your next vehicle, you should pay us a visit. Our helpful sales team and large inventory of Ford cars for sale makes it easy to find the right one for you and your family in the Goshen, IN area. Whether you are looking for new Ford for sale or used cars for sale, we are ready to guide you through the car buying process. We are also able to help you navigate the auto finance process so you can drive away in a great car. No matter what kind of vehicle you are looking for or if you are unsure about what kind of vehicle you want, we are more than happy to help. 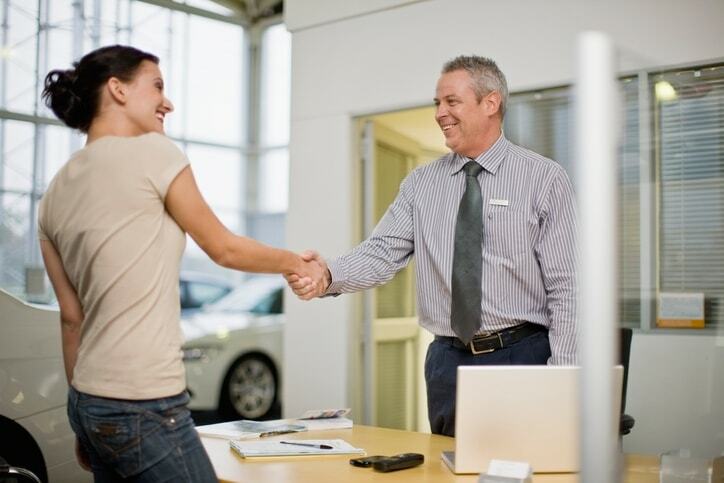 We understand how important your time and money are, and we want to get you into the car of your dreams. Directions to Eby Ford from Goshen, IN. The new Fordi for sale at your in the Goshen, IN area are worth a close look at your new car dealer. No matter what kind of vehicle you want, we can get you back on the road with a smile. We have many different bodystyles available, like SUVs, trucks, minivans, coupes, sedans, and many other great Ford for sale. You can browse through our inventory online or come to our dealership, either way works for us. Schedule a test drive in a new Ford for sale today and drive away in a vehicle that you love at a great price. Your local used car dealer is ready to help the Goshen, IN area get back on the road in a used car for sale. We have many different makes and models available so you can get the right one. We even have used trucks for sale when you need something with more power. No matter what kind of vehicle you are in need of, we will do our best to help you find it at a price you like. Feel free to browse our online inventory or stop in; we are more than happy to answer any questions you may have. When you have picked out your next vehicle, in many cases you need to consider your financing options. Our Finance Center is here to help the Goshen, IN area figure out what their options are. We are ready to guide you through the financing process and have even provided resources so you can get started before you even leave your house. Check out what we have prepared for you. We are also more than happy to answer your questions by phone or in person. See how easy we can make financing. At your local car dealership, we can take care of your parts, service, and repair needs with ease. Our team of qualified service technicians are ready for anything, and no job is too big. We make it easy to get the parts that you need simply by filling out our easy to use order form. You can take the parts home and put them on yourself, or we can do the work for you. Either way we are ready to help you get back on the road with a smile. For more details on our new cars for sale or used cars for sale and the services we provide to drivers in and around the Goshen, IN area, please feel free to contact us through our website or call us at (800) 419-6232.